ProXPN is offering an exclusive 62% Off annual plans ProXPN coupon for readers of VPNCoupons.com. You might be aware that ProXPN offers a totally free VPN service but if you want to stream online videos or download loads of content then the free plan is not going to help you. To enjoy ProXPN at its full potential, we recommend subscribing to ProXPN’s Premium Plan but not before using our exclusive coupons to save some money. When you subscribe to ProXPN without using a coupon then you have to shell out $9.95 for 1 month, $29.95 for 3 months, $49.95 for 6 months and $74.95 for 12 months. But as a VPNCoupons reader, you get to save a lot of money with our special coupons. a) 62% Off For Annual Plan – Save 62% by subscribing to ProXPN’s annual plan. With the special coupon, you can now get 12 months of ProXPN protection for just $3.75 per month. b) 50% Off For 6 Month Plan – Get 50% off when you subscribe to ProXPN’s 6 month plan. After you use the coupon, the new subscription price will be just$5.00 per month. 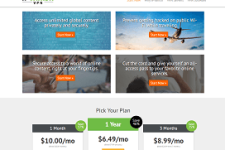 c) 40% Off For 3 Month Plan – Save 40% on ProXPN’s 3 month plan. With our coupon, you will save get access to ProXPN for just $5.99 per month. To use this coupon, type the code VPNC62 on the ProXPN Order Page and click on “Apply Coupon Code”. Why ProXPN Is Better Than Other VPNs? ProXPN VPN was unveiled in 2009 by proXPN B.V., a Netherlands based IT service provider having rich experience in delivering web hosting and complex internet solutions to customers. The service is well-known among the VPN community for providing a no-obligation, never ending free privacy solution to everyone. 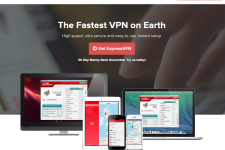 ProXPN VPN delivers one the most secure privacy solutions among Tier-1 VPN providers. The service uses 512 bit encryption for encryption which is better than what most government departments and security agencies use to protect their data. With a presence in America and Europe, ProXPN provides an easy way to secure your web sessions and access your favorite On-Demand sites from anywhere. For additional information on ProXPN, have a look at the detailed VPNCoupons’ ProXPN review Or visit: www.proxpn.com.